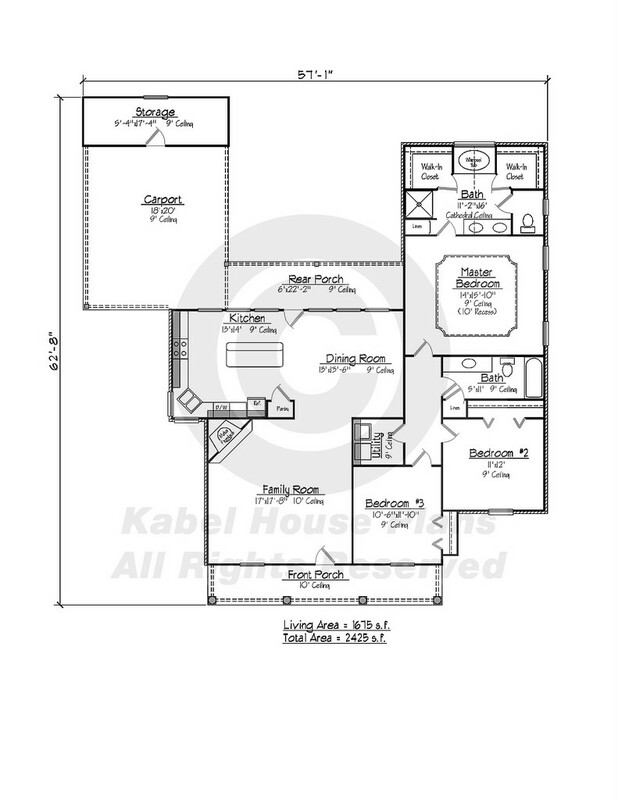 Our selection of Louisiana Acadiana design house plans is vast and there is only a sampling online of our over 5000+ plans in our Denham Springs home plans showroom if you do not find a plan online that fits your needs don�t hesitate to contact us for a viewing. 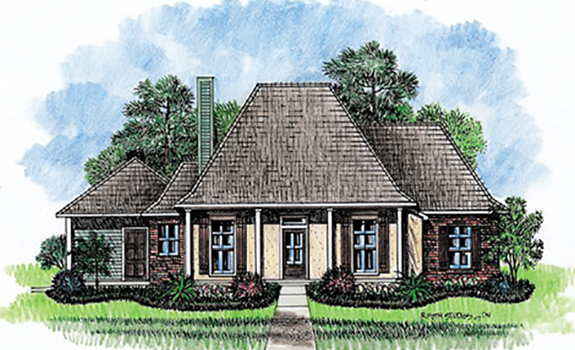 A classically named design that fits the Louisiana Acadian style this home plan uses space well to make it feel bigger then the square footage that it is. You will love the master bedroom with its 10� recessed ceilings with scalloped corners and two walk in closets. The other two bedrooms are of good size as well and located near the bath that they share. At 17� x 17� 8� the family room has plenty of room for all of your seating and an elegant corner fireplace. Our favorite part of this house plan is the kitchen that has three large windows looking out the back of the house with a center island facing them and a bar to eat your breakfast at. Next to the kitchen is the dining room that also has large windows peering out the back of the home. At the back of the house plan you will find your two car carport with a nice enclosed storage area. We think this is a great Louisiana Acadian home plan and we hope you would like to call it home.